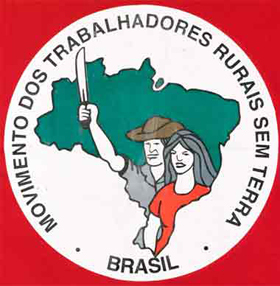 Your tax-deductible donation to the Friends of the MST helps us continue to offer direct support from the US to the Landless Workers Movement in Brazil - to maintain our website, fund the travel of an MST activist to the US, support the MST National School and, in general, support peasant agriculture. If you would rather mail a check, please print out this form and send it with your payment to: Friends of the MST, PO Box 47585, Chicago, IL 60647. 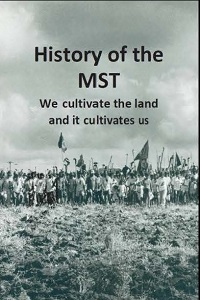 For donations of $35 receive a History of the MST Booklet. For donations of $50 of more, receive an MST T-shirt and History of the MST Booklet. For a donation of $100, receive a beautiful poster from the MST + MST T-Shirt + History of MST Booklet. 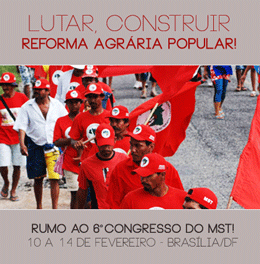 History of the MST covering the first 30 years of the MST's struggle for agrarian reform.